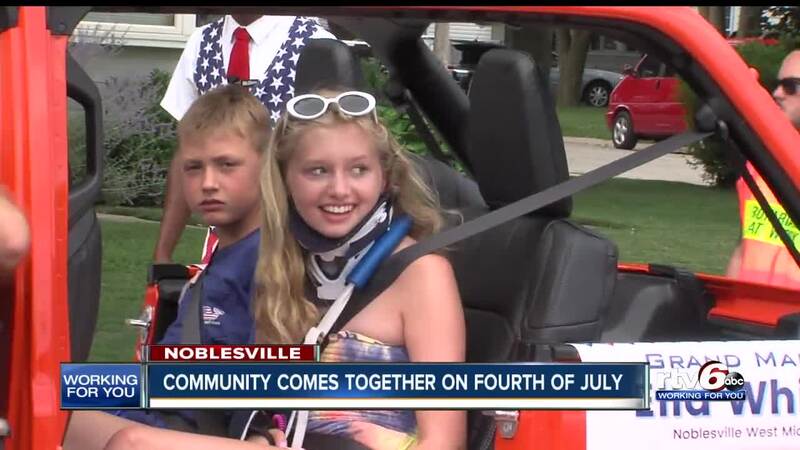 Ella Whistler and Jason Seaman made their first public appearance together during the Noblesville Fourth of July Parade on Wednesday. NOBLESVILLE, Ind. 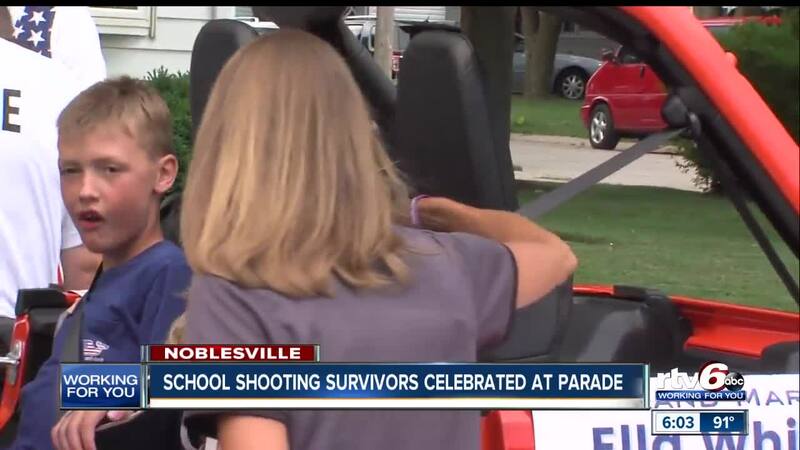 — A teacher and a student injured in a school shooting in May made their first public appearance together since the incident during the Noblesville Fourth of July parade on Wednesday. Student Ella Whistler and teacher Jason Seaman were named grand marshals for the annual parade. Whistler, riding in the back of an orange Jeep waved to the crowds along the parade route. Many were holding signs of encouragement that said things like: "Ella Strong," "Noblesville Strong" and "We Love You, Ella!" Seaman followed closely behind, riding on the back of a blue Corvette. Both received loud cheers as they passed by. "It almost made me cry just looking at them," Laurie Kazmucha said. "Seeing how strong they are, how young they are." 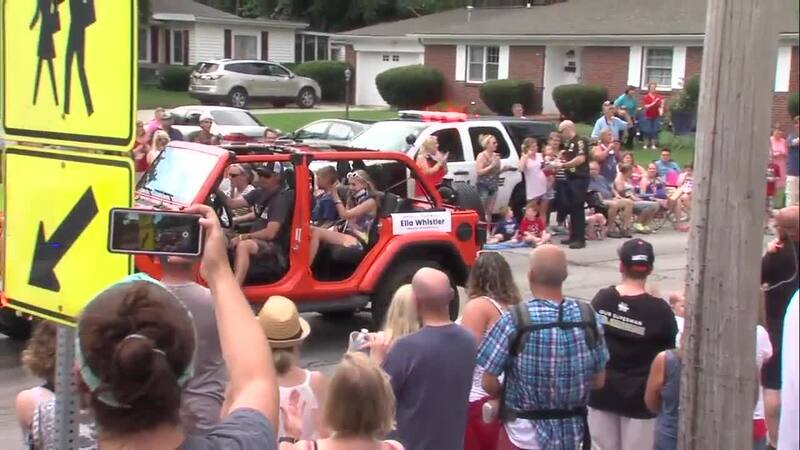 The parade was also the first public chance for Whistler to experience the support of her Noblesville community. "They've really brought our community together in the past month or so," Tori Kashman said. "I think it's a really cool way to bring our community together." Whistler, 13, was shot seven times by another student on May 25. Her science teacher, Seaman, tackled the shooter and is credited with stopping the shooting. He was shot three times. Seaman was released from the hospital the next day. Whistler spent weeks in the hospital, recovering. A group of Noblesville West Middle School students walked behind Whistler & Seaman as part of the parade and a large group of Noblesville students, teachers and staff walked together at the end of the parade.